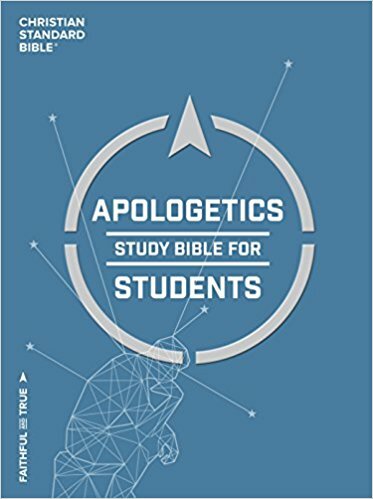 I was recently given the opportunity and honor of contributing to the new Apologetics Study Bible for Students. Below is my article. The strongest confirmation for the reliablity of the Old Testament text came with the discovery of the Dead Sea Scrolls in 1947 at Qumran. Until that time, skeptics clung to the hope that an older text would be found that would demonstrate that the text had been significantly altered and corrupted. However, the opposite happened. For example, an entire manuscript of Isaiah was found dating to approximately 75 B.C. When Old Testament scholars compared it with the earliest existing copy of Isaiah know at that time (dating to A.D. 1008-09), the results were staggering. They concluded ninety-five percent of the text had been copied and passed down accurately over a period of almost 1,100 years! The other five percent- comprised of mere slips of the pen- consisted only of misspelled words and absent letters. While many skeptics have dismissed the historicity of various Old Testament figures, places, and events, archaeological discoveries continue to vindicate the biblical record and silence its critics. Some of the key biblical figures attested by discoveries include King David, patriarchs Abraham, Isaac, and Jacob, King Solomon, and King Nebuchadnezzar. Key places proven include the cities of Sodom, Gomorrah, Admah, Zoar, and Zeboiim mentioned in Genesis 14. Also discovered are the entire kingdom of the Hethites that was once thought to be mythological and the site of Solomon's temple. Moreover, ancient finds have authenticated some events recorded in the Old Testament. One example involves the walls discovered at the site of Jericho; there a think layer of soot indicates the city was destroyed by fire as described in Joshua 6:24. Further discoveries have demonstrated these walls fell outward, which is noteworthy when one considers that attacked city walls fall in the opposite direction. This anomaly would have provided invaders a ramp to easily enter the city- precisely what Joshua 6:20 reports. Finally, and perhaps most significantly, Jesus clearly believed the Old Testament is historically reliable. Perhaps in anticipation of future skepticism, Jesus affirmed as true many passages that modern day Bible skeptics deny. He affirmed the historicity of Adam and Eve (Mt. 19:4), the Noahic flood (Mt. 12:39), and the story of Jonah being swallowed by a great fish (Mt. 12:40). He also referenced the Old Testament canon in Matthew 23:35 when he mentioned the span of time from the death of Abel (Gn. 4) until the death of Zechariah (2 Ch. 24). On the grounds that the Old Testament text has been accurately preserved; that discoveries in archaeology have confirmed many of the people, places, and events recorded in its pages; and that Jesus himself taught the Old Testament as real history, the Christian can be confident the Old Testament is indeed historically reliable. To learn more about this helpful resource, go here. To order your copy, go here.